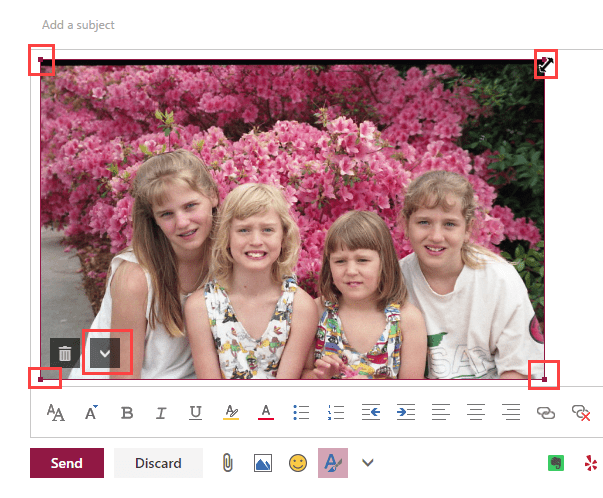 After being migrated to the new Outlook.com, a user wanted to know how to resize images inserted in email. 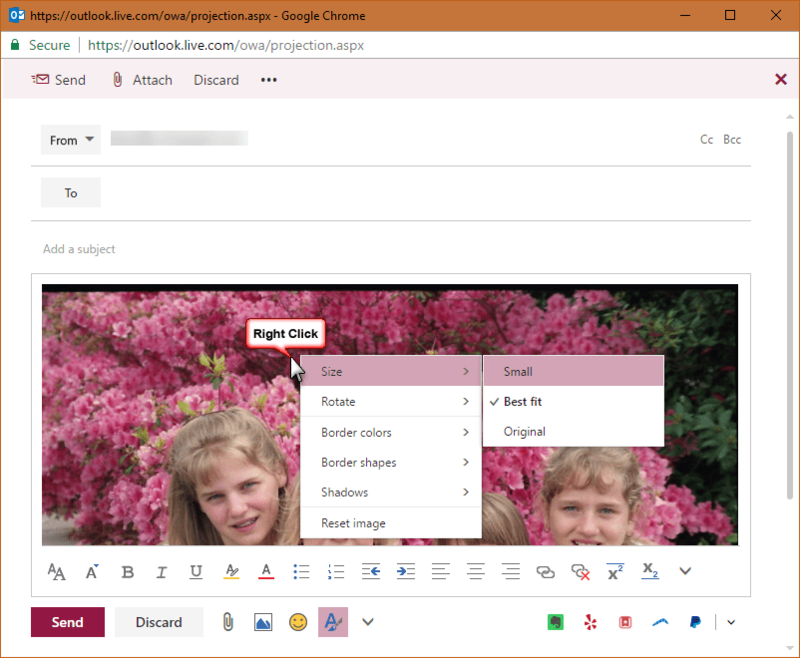 While there are fewer pre-determined sizes available in Outlook on the web, it works pretty much the same way it did in the old Outlook.com: right-click on the image and choose Size then select Small, Best fit, or Original. You can also rotate, add a border, or add shadow to your image. You can also resize the images freehand: click on the image then drag the resize handles to make it any size you'd like. Clicking the chevron icon will display the Image menu shown in the screenshot above.